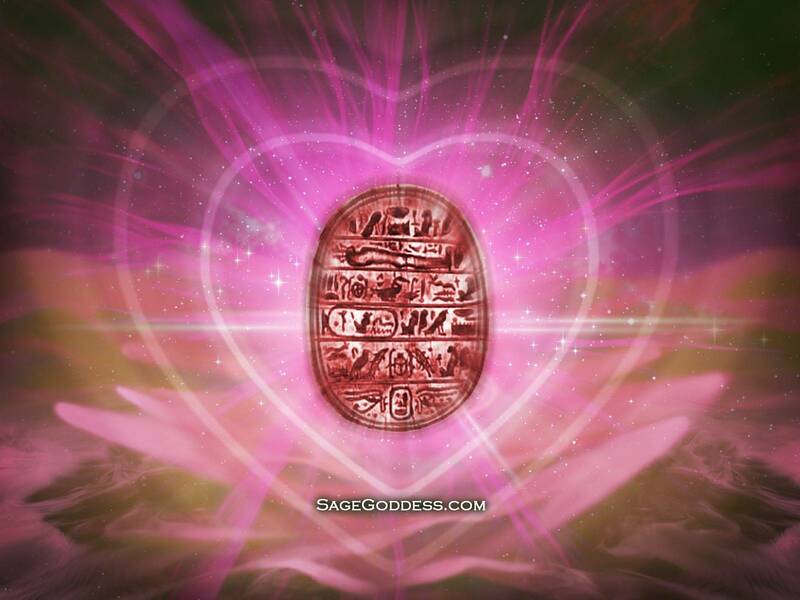 This custom heart scarab screensaver was designed right here at Sage Goddess Headquarters. Scarabs were a prominent motif across ancient Egyptian culture, worshipped by pharaohs, enshrined in art, tombs, and thrones. Heart scarabs were commonly inscribed with magical love spells and poems. Gaze upon this ancient Egyptian amulet to bring magic and charm to your life in celebration of immortal love. Add the heart scarab screensaver to your cart. Then proceed to checkout. You will receive an email order confirmation. Click on the “Download Heart Scarab” link. I love the detail and originality of ALL Sage Goddess art work. I also like how proud Athena is of her design team. She should be, they’re FABULOUS! !